Small batch, boutique, artisanal, and subtle are not words one typically associates with tequila, but Casa Dragones ($250) is deserving of them all. Soft and luxurious, its flavor is reminiscent of a plush agave pillow accented with the spicy bite of a playful kitten. This is a joven tequila in its most pristine form. 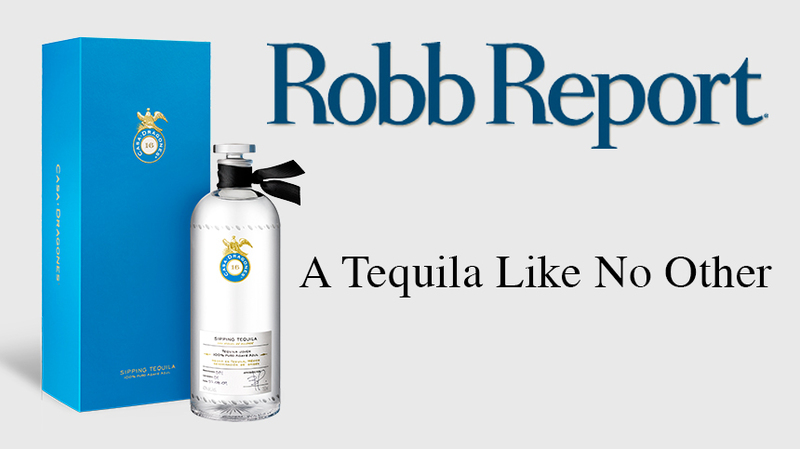 Mature blue agaves harvested from the iron-rich volcanic soils of the Mexican highlands and multiple column distillations for maximum purity combine to produce a velvety blanco that has been given a touch of spice with the addition of an extra añejo aged for more than five years. This is a sipping tequila, accented with the gentle caresses of citrus, cedar, roses, and a whisper of licorice. Casa Dragones is the creation of Bertha González Nieves, the first female Maestra Tequilera to be certified by the Academia Mexicana de Catadores de Tequila, as recognized by the Tequila Regulatory Council. After spending a lifetime in the tequila industry, her experiences have culminated with this outstanding example of Mexico’s national spirit. Named after the elite Dragones cavalry of San Miguel de Allende, whose exploits eventually resulted in the Mexican War of Independence, Casa Dragones comes in a meticulously handcrafted, lead-free crystal decanter, topped off with a crystal stopper. The understated label is individually numbered, dated, and signed. The top of the label reads, “Sipping Tequila,” which is really the only way this elegant elixir should be enjoyed. Read more here.